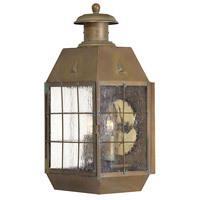 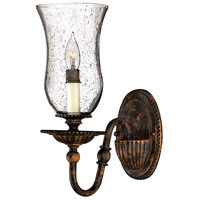 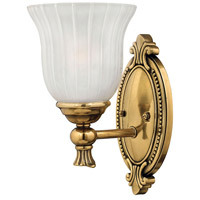 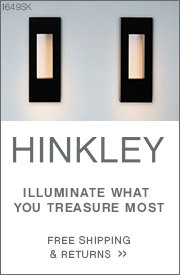 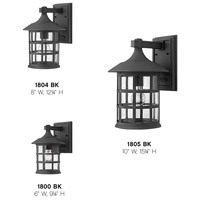 A The Hinkley Lighting Freeport 1 Light Outdoor Wall Mount 1800BK has backplate dimensions of 4.5" wide and 6" high. 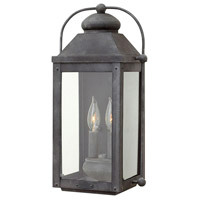 Q Does the Freeport 1 1800BK Outdoor light have a closed bottom, or it it open and able to reach up into it. 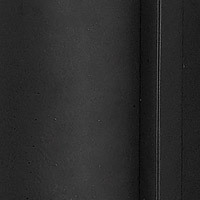 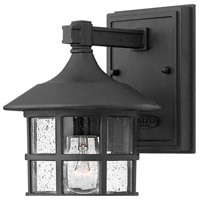 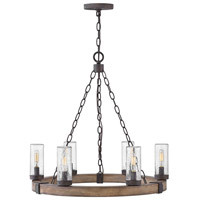 A The Hinkley Lighting Freeport 1 Light Outdoor Wall Mount in Black 1800BK has an open bottom. 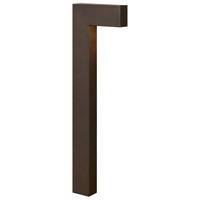 Q I'm looking for an outdoor wall light with an electrical outlet. 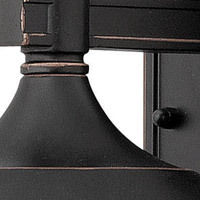 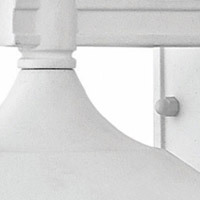 Does this light have an outlet or, if not, do you know of any that do? 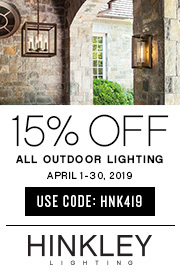 A The Hinkley Lighting Freeport 1 Light Outdoor Wall Mount 1800BK and other outdoor wall lights do not have electrical outlets. 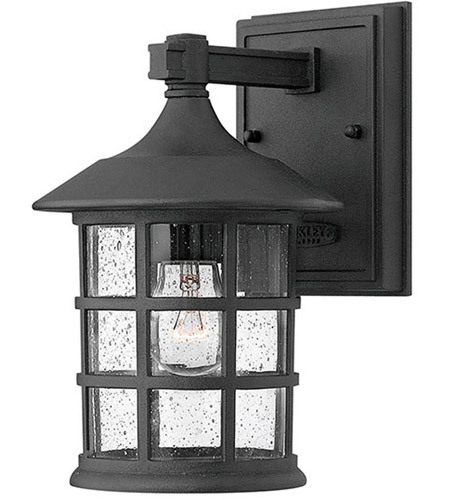 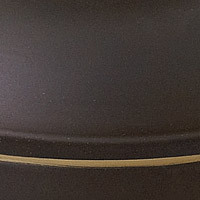 Outdoor posts such as the KIchler 49907BK (for use with post lanterns) does have a built in outlet.